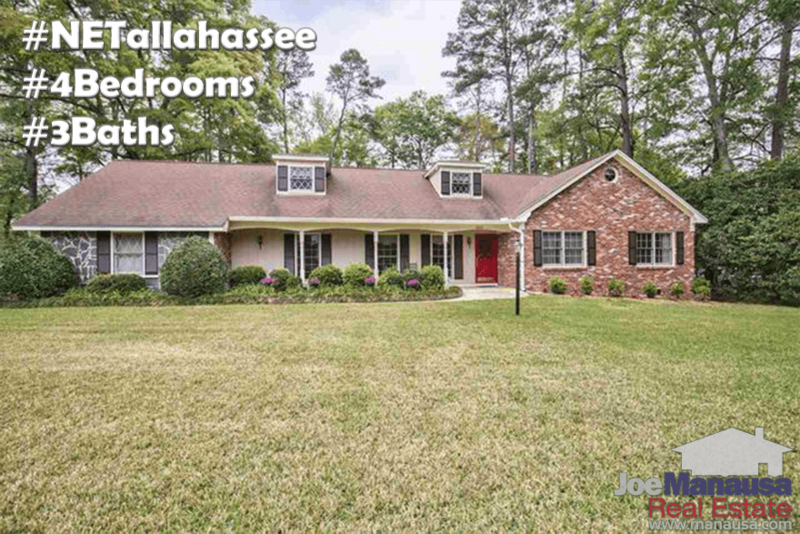 Four bedroom homes in NE Tallahassee remain the hottest prize in town, and buyers have asked for a resource to show when new 4/3 Homes hit the market (4+ bedrooms, 3+ bathrooms). If you want to find them all, updated every 15 minutes directly from our MLS, then you have found the right page. Prior to the nineties, it was not common to see more than two bathrooms in a four bedroom home. So while it is not super difficult to find a lot of nice homes that are 4/2, it is the additional bathrooms that create the scarcity for these large homes. The demand for homes in Northeast Tallahassee is as hot as ever, and we are seeing the values of all homes priced under $400,000 rising. The homes that feature the additional bathrooms are often times at the very top of the list. The key to being on top of the rapidly moving inventory these days is to establish a strong professional relationship with a real estate buyer's agent. You want somebody who knows what you want and can tell you BEFORE these great homes hit the market. Sure, you can troll our pages for the fastest updates (and even our coming soon page), but the reality is if you want first shot at a great home, you need to be prepared. A seller of one of these properties knows that she is likely to get multiple offers, so you really can't casually make an unqualified offer. You need to be able to prove to the seller that you can close on a contract, so writing a weak contract will get you ignored every time. A good buyer's agent can get you fully qualified, fully prepared, and then notify you when a gem is going to hit the market. Sometimes, we can get you in to see the home before it goes live, giving you the best chance to be first. This simply will not happen if you are merely trolling around on a national real estate site, hearing about properties days after a buyer's agent knew about them. If you want the inside track on all 4/3 homes hitting the market in NE Tallahassee, just drop me a note and we'll take great care of you. Take a look at what our past customers have to say about buying a home in Tallahassee with JMRE!